If you weren’t able to tune in Saturday to watch women of faith discuss their organization or business and answer questions along the way, you can check out that video to get more information about our organization, what we do, and our popular programs, as well as other common questions regarding small businesses and organizations. Thank you Girls of Royalty for allowing us to be on a platform with other women who are striving to make a difference through their businesses and organizations. Knowing your purpose and having faith that God will supply your every need for the vision that He has given you definitely motives others. 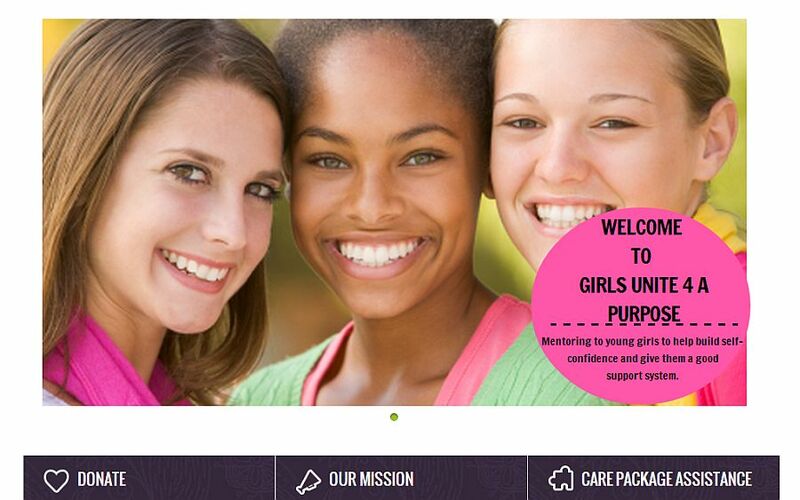 Get LIVE Information about Girls Unite 4 A Purpose Tomorrow! 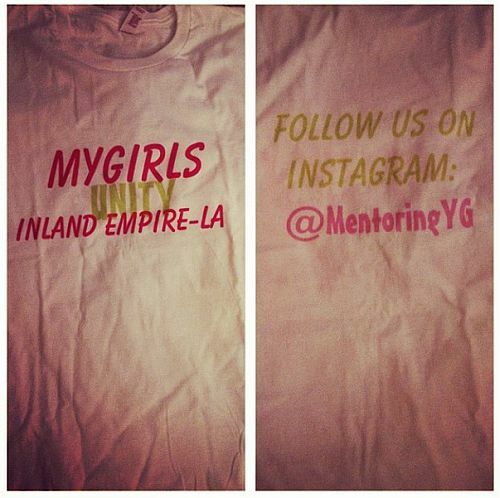 Want Cool “Girls Unite 4 A Purpose” Merchandise? 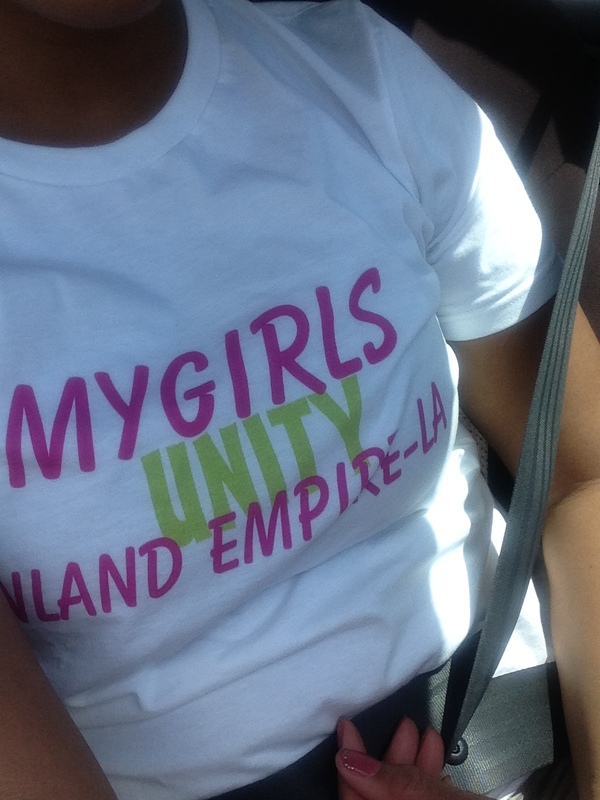 We want to know if you would be interested in supporting Girls Unite 4 A Purpose by sporting our merchandise! We’ve gotten great feedback from those in the streets of the Inland Empire & a few supporters but we want to know what you think? We did a trial run for the shirts photographed here just to get an idea. If we get enough feedback we plan on revamping the look. We assist girls throughout the U.S. for one purpose. We also plan on adding fashionable items that you all can wear to our events, school, church, party or everyday. There will be something for everyone who is interested in being fashionable! We shared on Facebook and our Instagram that there would be changes that would be happening soon. One of those changes was unveiling the name for our organization, and then presenting a brand new website. You’re probably thinking “Unveiling the name of the organization, you changed the name of MYGirls?” You’re not the only one thinking this. Brief History of what Mentoring Young Girls aka MYGirls is: MYGirls is the name of our mentoring program for young girls between the ages 11-18. We never had an official name for our organization and decided to promote the program only. Hi all and welcome to this weeks fashion Friday! I thought I would share with you an item I am loving for Spring – Crop Tops! As it is starting to get warmer (only slightly in England!) I am seeing more and more crop tops being worn, some looking lovely and some – not so nice. Forget the saying ‘less is more’ when it comes to clothing, it doesn’t count, there is no point in wearing a crop top and hot pants if you are going to stand on the street shivering! So I thought I would share with you some crop tops I am loving and how I would wear them! I have tried to keep the prices low, as always, and I have also approximately changed the prices from UK Pounds to US Dollars as I know a lot of you readers are American. I have done three outfits, from three stores, ASOS, Forever 21 and New Look, so lets begin! I just love this outfit for when it coming into spring, the bright yellow high waist shorts that aren’t showing any bum(!) are a lovely touch to the plain black off the shoulder cropped tee and I think paired with plain black sandals would just look perfect, I think the shorts are just enough so you don’t need statement shoes. I love this funky long sleeve tee for these days that aren’t that warm, I think paired with a plain skater skirt and black pimsolls make for a perfect casual outfit. I think this would be perfect for when the evenings start to get warmer, this outfit would work well paired with a black skirt and black heels, but as I am trying to move away from wearing as much black I thought I would try pairing it with white! I thought this flowy butterfly crop top was just so cute, and the perfect amount of print to pair with a plain outfit. I hope you have enjoyed this weeks Fashion Friday post, if there is anything you would like to know how I would style then please do let me know! Be on The Look out for This Week’s Posts…. As we begin to change a few things around here & branch out in other areas in order to better assist girls that utilize our program and are supporters, things may look different or delayed. We’re just working on bettering our website as well as our organization. We thank you for the support.